Located near one of Cuba’s best diving areas, Hotel Islazul Pasacaballo will suit not only diving enthusiasts but anyone looking for relaxing surroundings, beautiful views & access to popular Cienfuegos. Though Pasacaballo hotel is not near a beach, there is plenty of opportunity to unwind outdoors with a large swimming pool & sun terrace. The hotel’s slightly remote location at the entrance to Cienfuegos Bay also ensures peacefulness, though a small downside is the slower taxi service. However, there is a bus into Cienfuegos. Islazul Pasacaballo is a hotel with a retro feel that should appeal to people wanting a slice of old Cuba, with facilities including games & internet rooms, shop & car park. 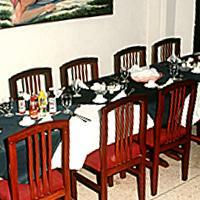 Pasacaballo’s spacious buffet restaurant provides a good range of fresh food which is complemented by live music at meal times. 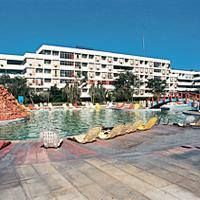 The hotel also has an international a’la carte restaurant, snack bar & bar, with inside & outside seating available. Whether you are visiting to dive or not, hotel Pasacaballo will provide a relaxing environment, memorable views & good food & drink, just a short drive from Cuba’s ‘Pearl of the South’. The views from many of Pasacaballo’s 188 rooms are spectacular, with great views of the bay & mountains, particularly at sunrise. All rooms are ensuite with standard features such as air-conditioning, satellite tv & safe deposit boxes. 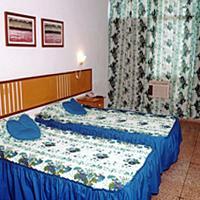 Pasacaballo’s rooms are slightly basic but are clean & well maintained, with good quality fittings & mattresses.